There is nothing I love more than mixing old and new. 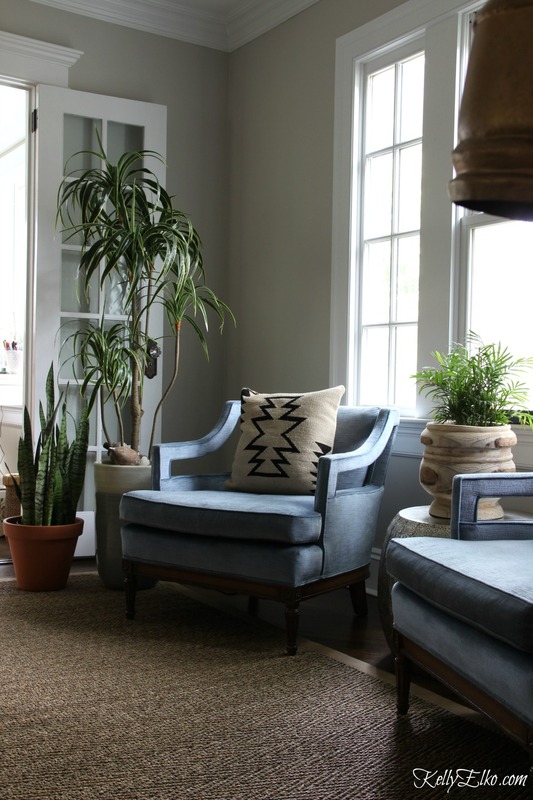 So get inspired to mix it up in your house because today five friends and I are sharing how we do the vintage/modern mix. 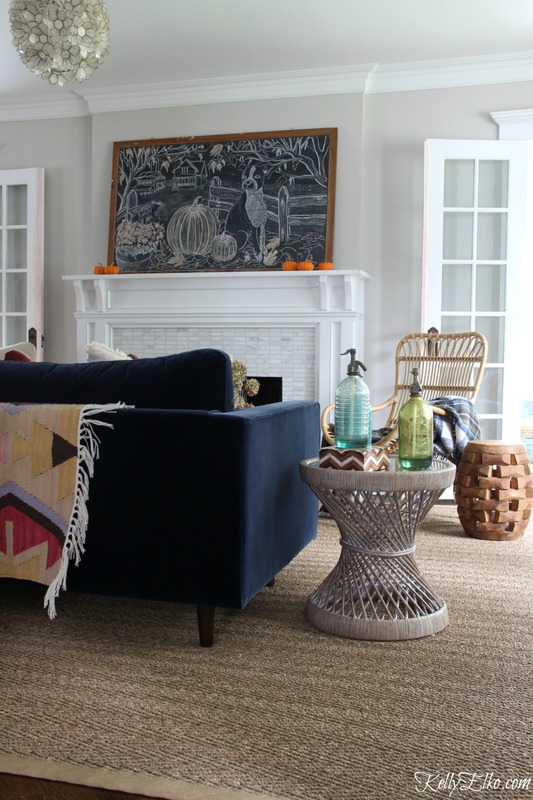 Let’s kick things off in my living room then you can click on the pics at the end of this post to see everyone’s eclectic styles. FREE (insert flamenco dancer emoji here)! I tried to act all nonchalant and cool while she was secretly laughing at me for wanting this old and crusty cob web riddled thing. Well who got the last laugh judgmental garage sale lady! My friends amazing daughter is so talented and I asked her to create a fall masterpiece and the star of the show is my dog Sushi! I’m going to have a hard time ever erasing this. 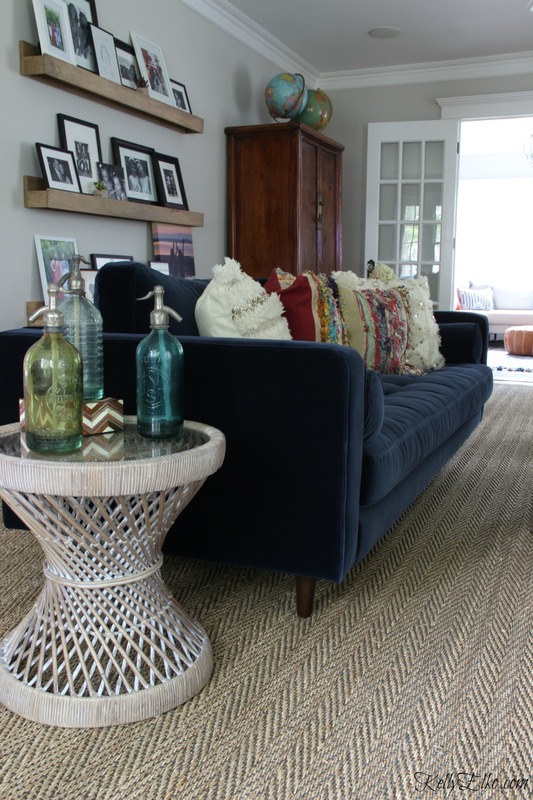 I love the clean lines of my mid century modern style sofa and I added lots of wicker and rattan and a sea grass rug for texture. I have so many vintage collections that I have to rotate them or my house would be a scene from Hoarders. 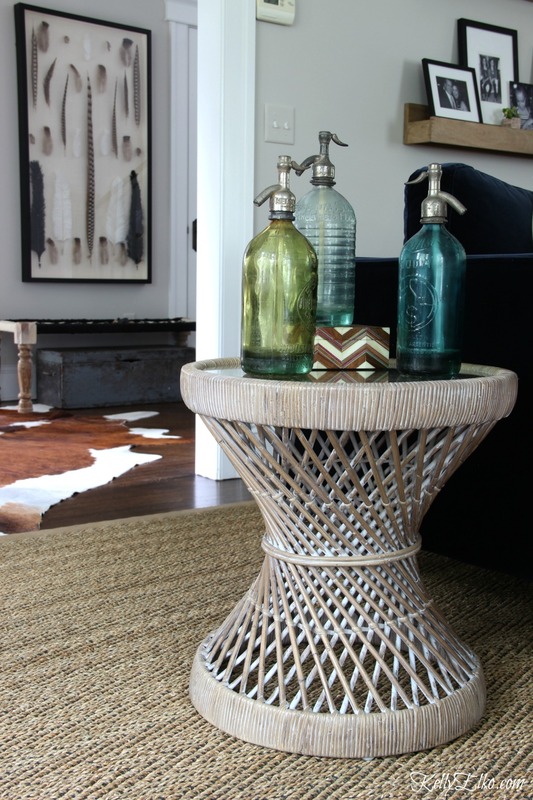 This wicker side table is a favorite. 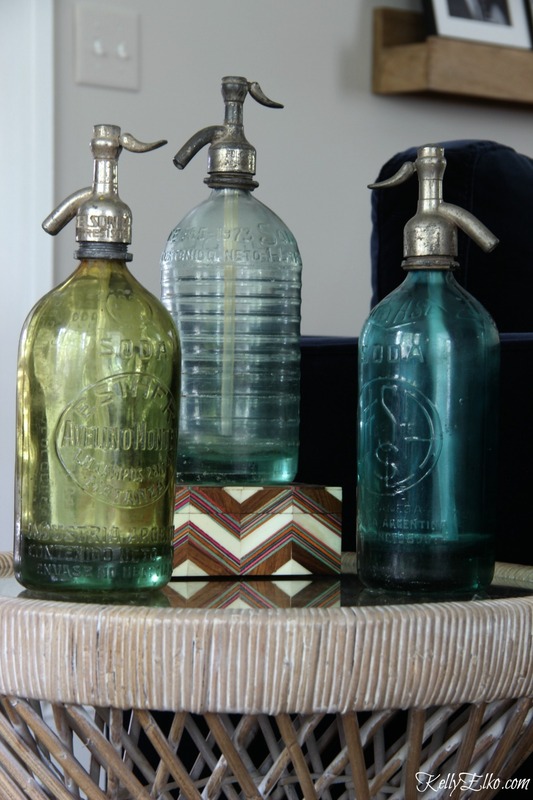 A colorful box varies the height of a trio of old seltzer bottles. Garden stools are great space savers and I love mixing in something unexpected like this outdoor rattan chair. I performed a heroic rescue when I saved this old Whitman’s Chocolate crate from my neighbors trash. 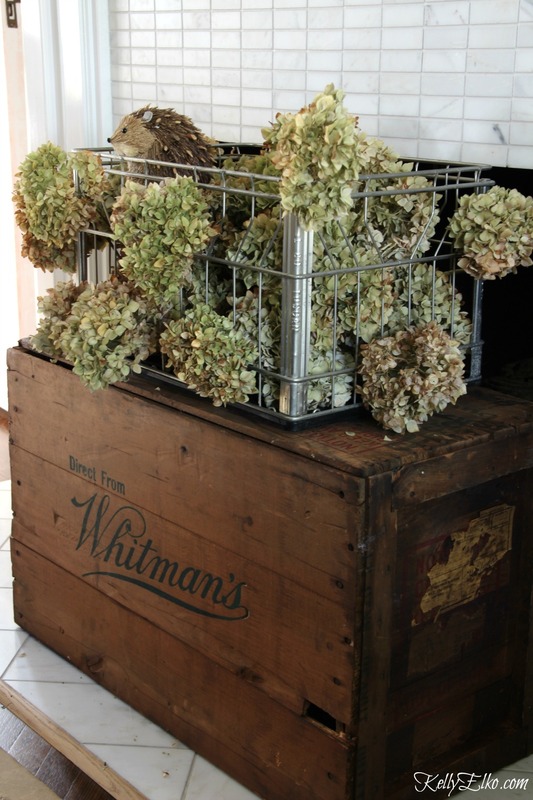 My number one estate sale tip is make a bee line for garages and basements for amazing, cheap finds like this old milk crate. P.S. 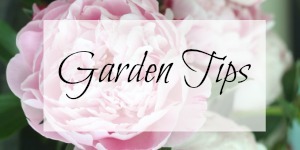 Don’t miss my hydrangea growing tips so you can have armloads of spectacular hydrangeas. 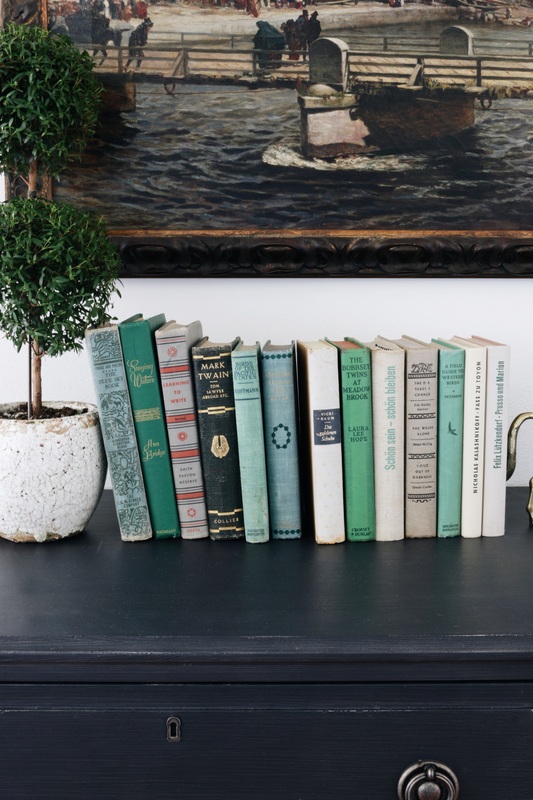 A huge Moroccan brass tray on my coffee table is the perfect place to display vintage Netcox mugs that make the perfect planters. 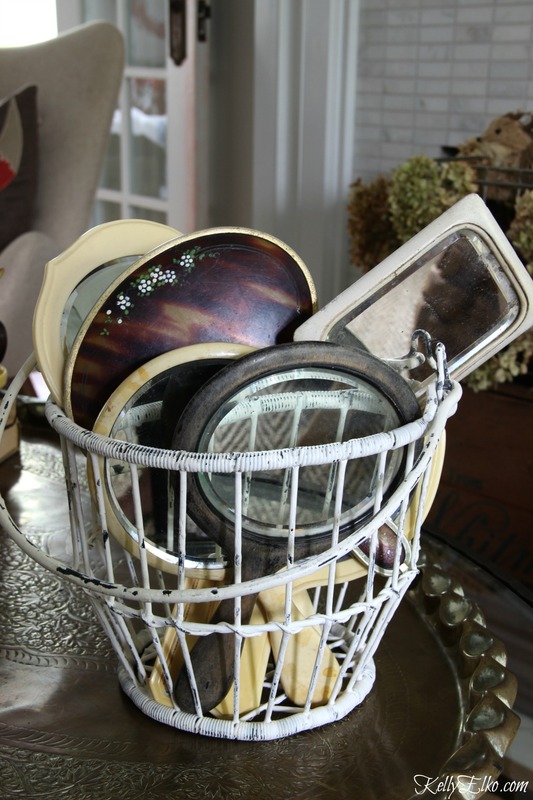 Does having a collection of old hand mirrors mean I’m vain? This braided wool stool does double duty as a little side table and an extra place to sit and the chair is a new version of the famous Teddy Bear Chair. Open shelves are a fun way rotate my favorite things including a colorful collection of decanters. I love to layer artwork in the back of shelves for more interest. Can you believe this is the original velvet fabric on these mid century club chairs! I like tucking unexpected things in my planters. 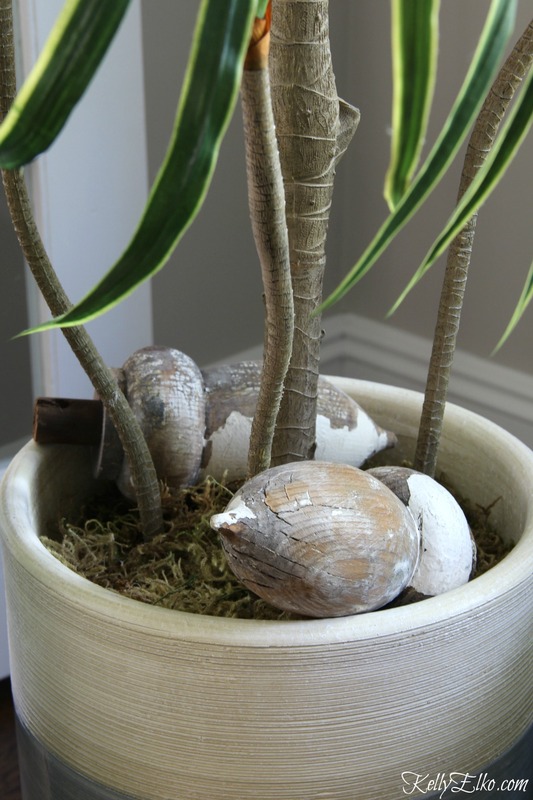 I replaced the summer seashells with these old wooden down spouts. 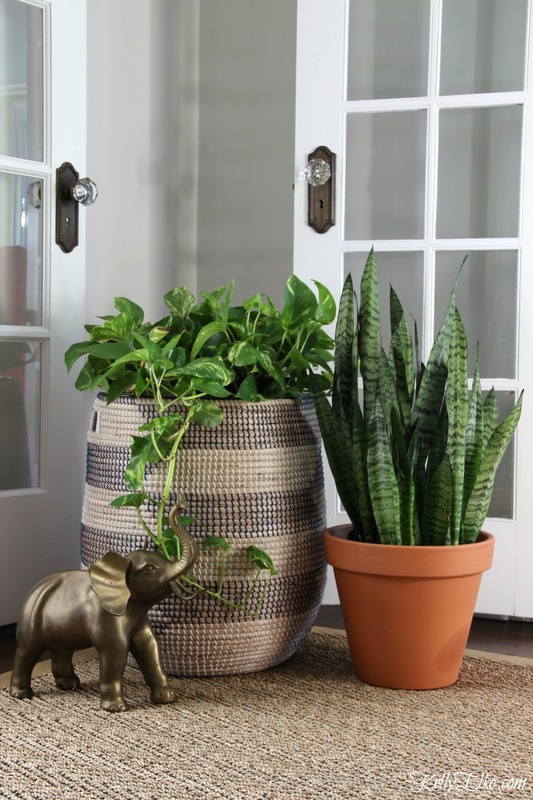 Every room needs a plant or two and pothos and snake plants are very low maintenance. 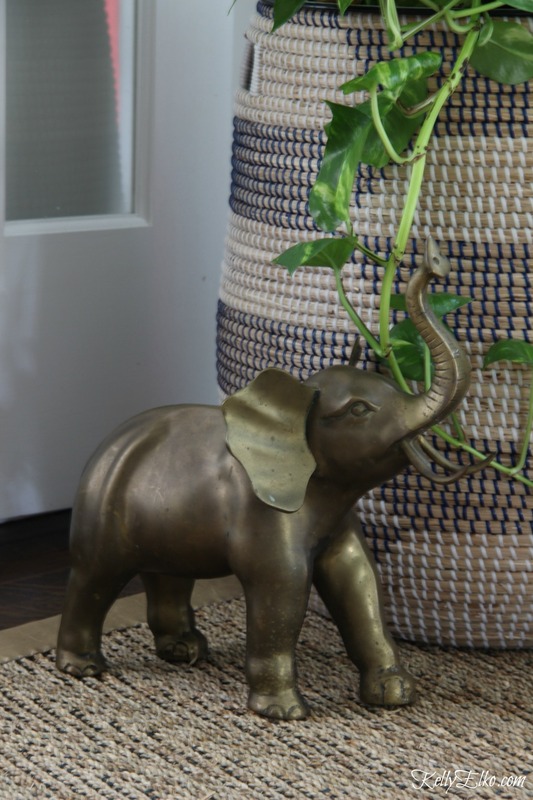 They say an elephant with it’s trunk raised is good luck. I was lucky to find him in a thrift store. I think that lucky elephant was responsible for my free chalkboard score! 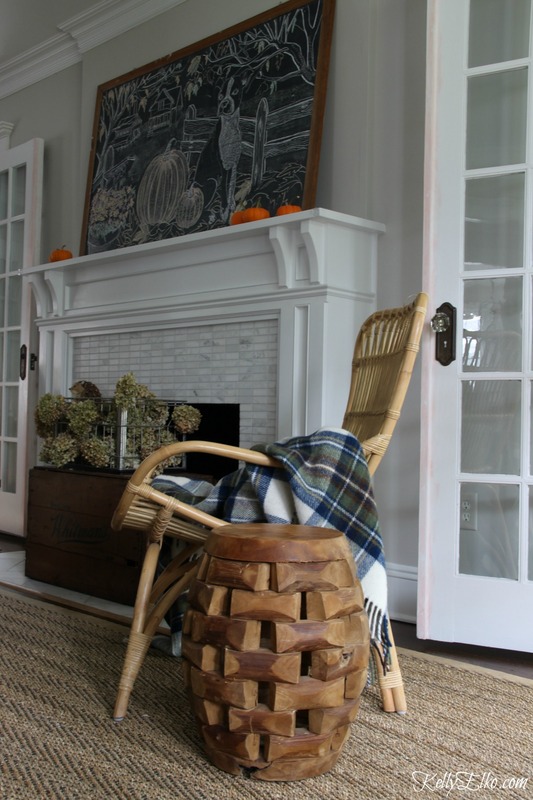 Here’s to mixing things up this fall! 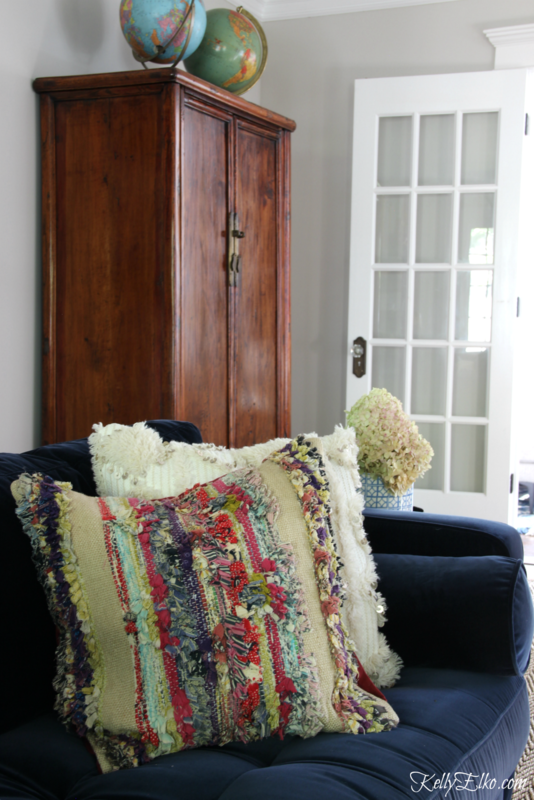 Take My Home Tour HERE to see more of my eclectic style. 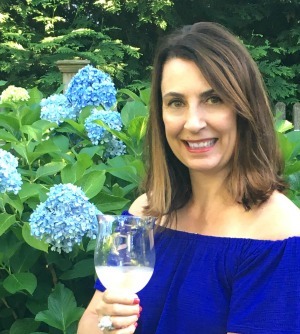 Scroll down to see 5 amazing bloggers and how they mix old and new! 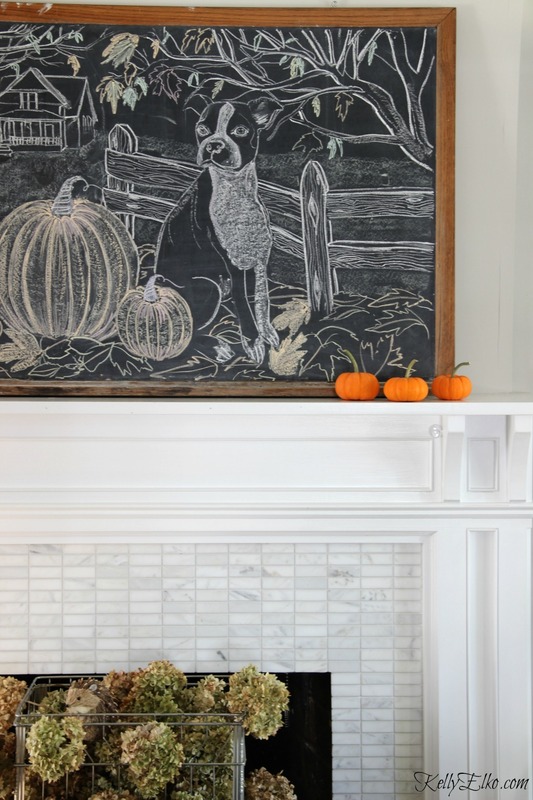 love the chalkboard drawing- it’s amazing! 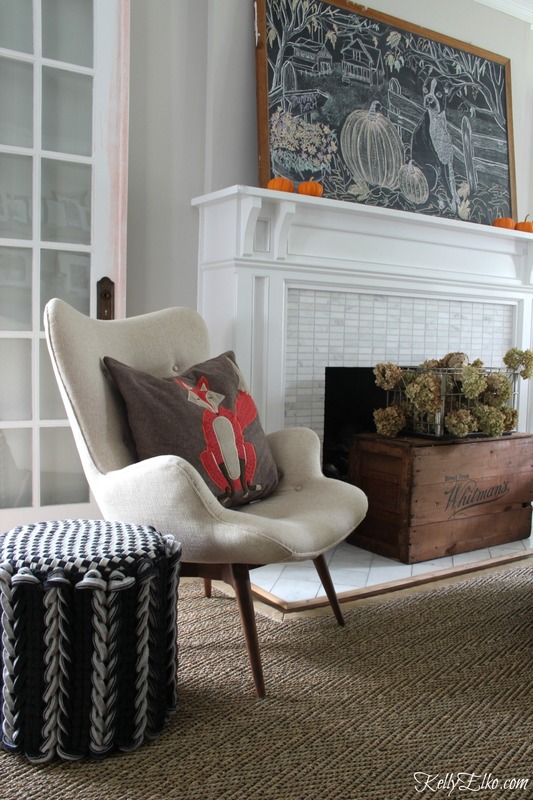 your living room looks fabulous now, too! love it so much! Thanks Cassie – one small problem. Sushi is even more of a diva now that her portrait is on the mantel! Kelly love your home. Is there any trick to cutting the hydrangeas now like you have in the fireplace. Anything I should be aware of so I don’t ruin the blooming for next yr? How do you like walking on the sisal? Stiff? Shedding ? Thank you! I guess people don’t realize what they have! I’ve never seen Netcox mugs — I love them! Thank you for your great design ideas. Kelly!!! 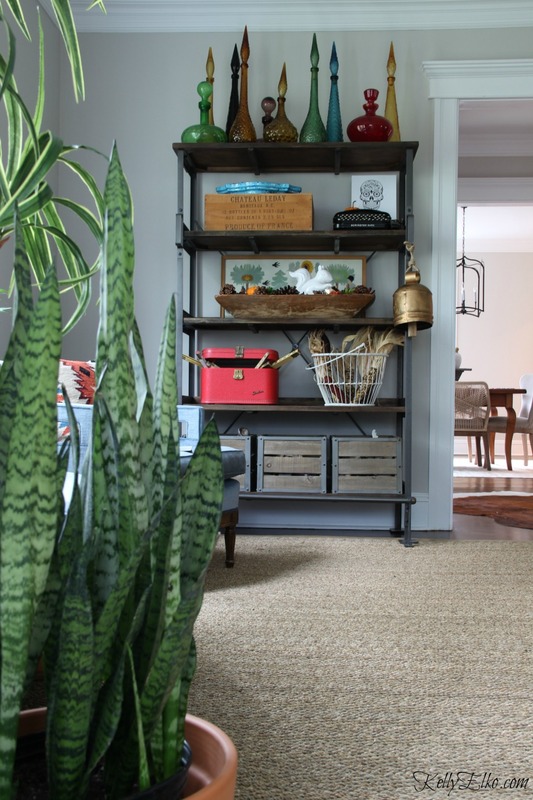 I love your home and these treasures are all right up my alley! I may need to “borrow” some things especially those Netcox mugs that I’ve never seen but now NEED! Love you girl! So happy we got to Hop together! The chalkboard is amazing on so many levels. Any chance you save Suki on one side and change up the other side? The other side isn’t chalkboard! I forsee a Christmas scene coming soon with Sushi as the star! … and you mix old and new like no one else! 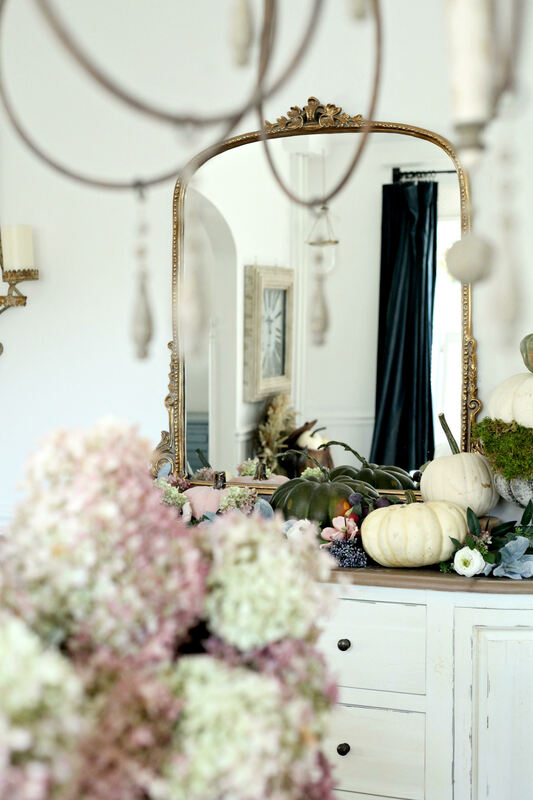 Loved your tour … always gorgeous … styled beautifully and so inspiring! Happy Fall, friend! 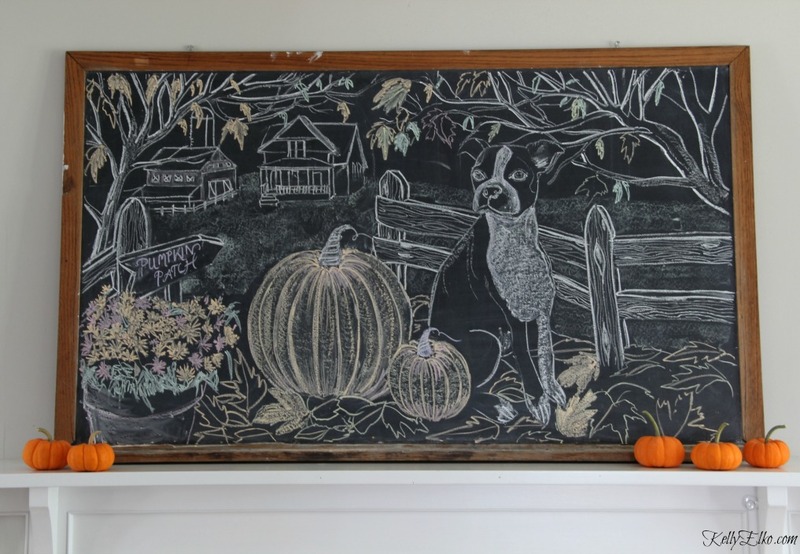 Love the chalkboard art! I know I could never erase it. It’s going to be hard Paula! Sushi in chalk is too stinking fabulous. Love all your vintage touches, the images were all beautiful!! So fun touring with a Vintage Queen 😉 And my chalkboard was free too!! 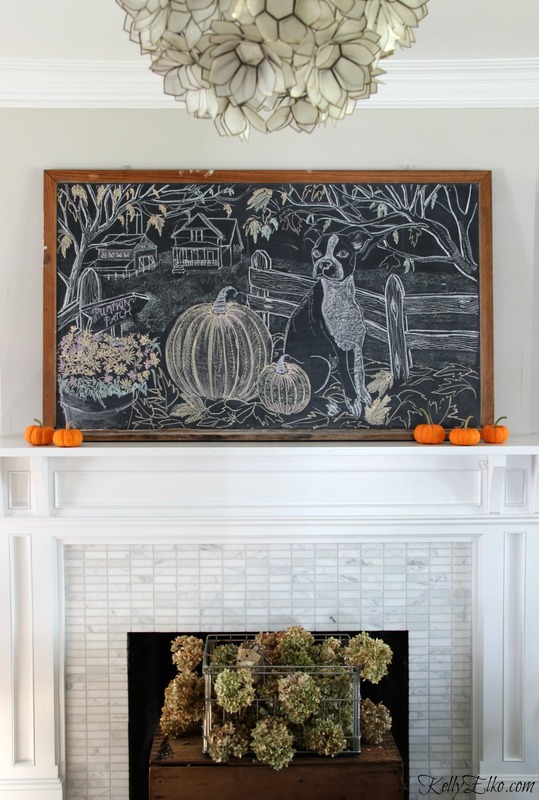 I love all the gorgeous fall colors throughout your home and way to go on scoring that awesome chalkboard…the art is incredible! ?? 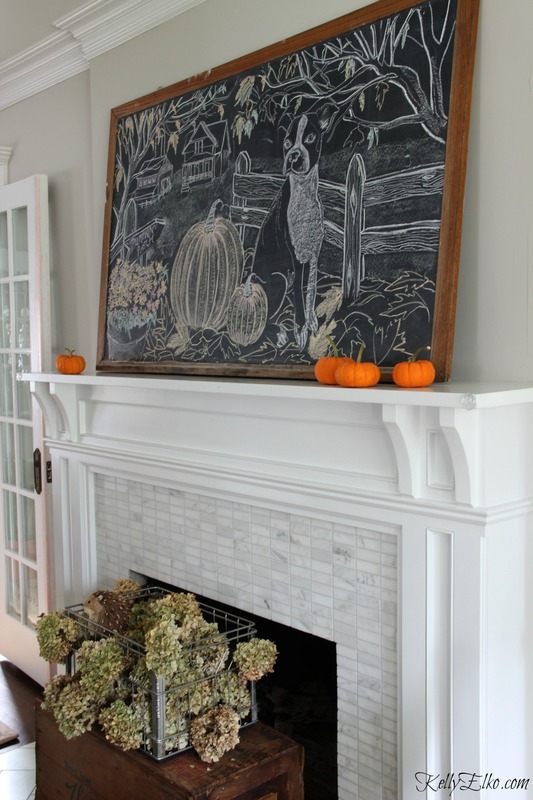 Thanks Louisa – I was thrilled with the way the chalkboard turned out! Sushi loves it too! We are the queens of getting free stuff – other’s peoples trash is obviously our treasure! Your friends daughter’s portrait is AMAZING!!! Perhaps ya’ll could turn that beautiful Sushi Scene into postcards?!?! Great idea or maybe a free printable for you and my readers! Don’t erase the chalkboard! I buy large chalkboards at hobby lobby with the 40 percent off coupon or when they are on half price. The price is only $ 7.99. I made Fall and Christmas boards. I just rubbed some stain on the unfinished trim and they look great. I store them in a closet and just pull them out seasonally. This way I can afford to make as many as I want to. This is a vintage chalkboard Cristi so unfortunately, I will have to erase it (although I hate to do it)! 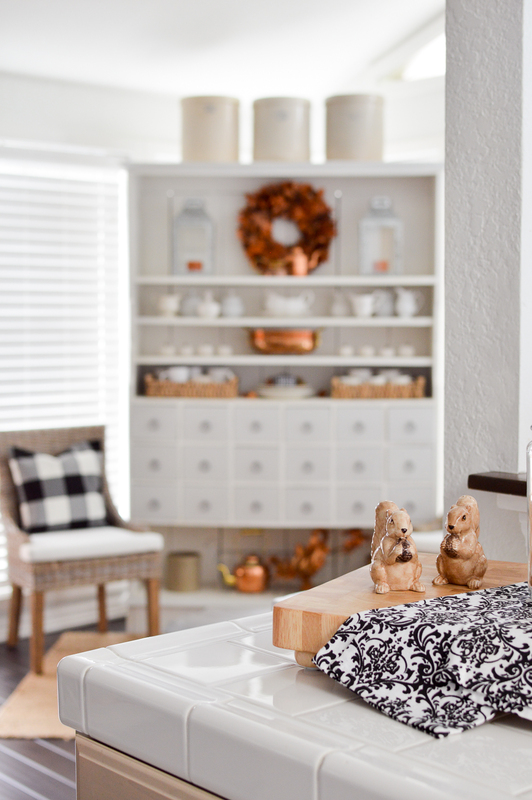 Love your idea of storing smaller ones in the closet! I love your home Kelly! 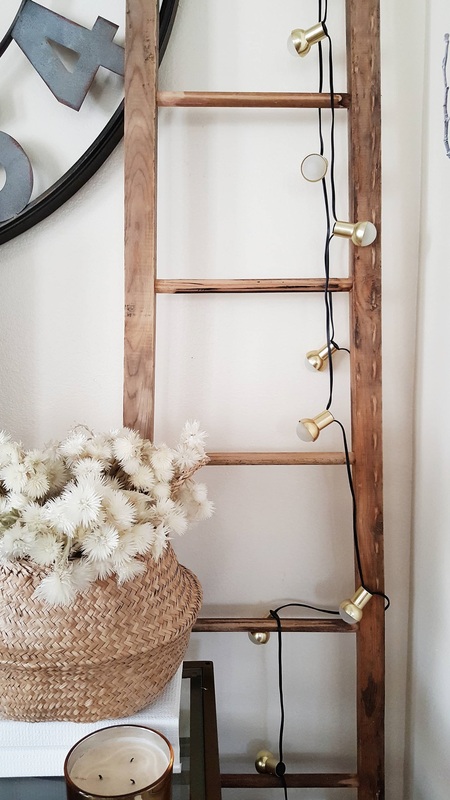 You do a modern vintGe mix perfectly! Those blue chairsare amazing. I’m in awe of the artwork on the chalkboard! That scene steals the show! 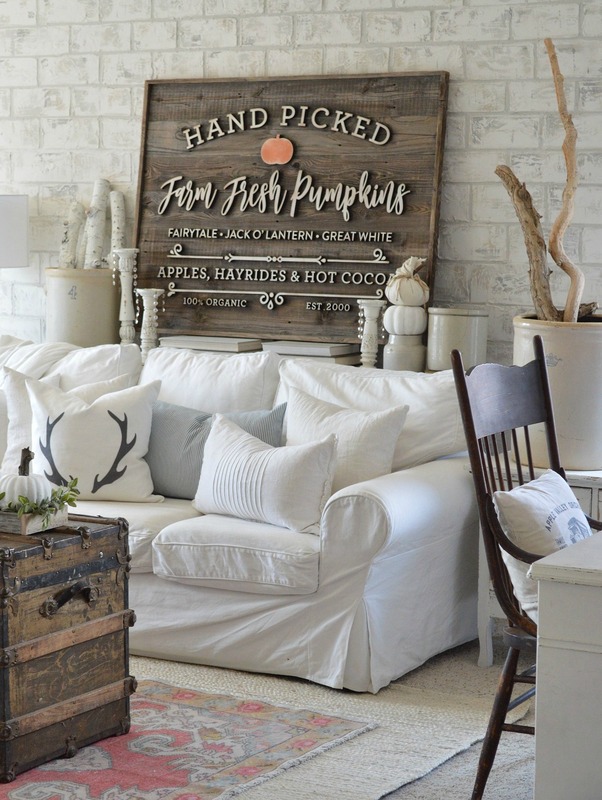 Love how you mix things up! 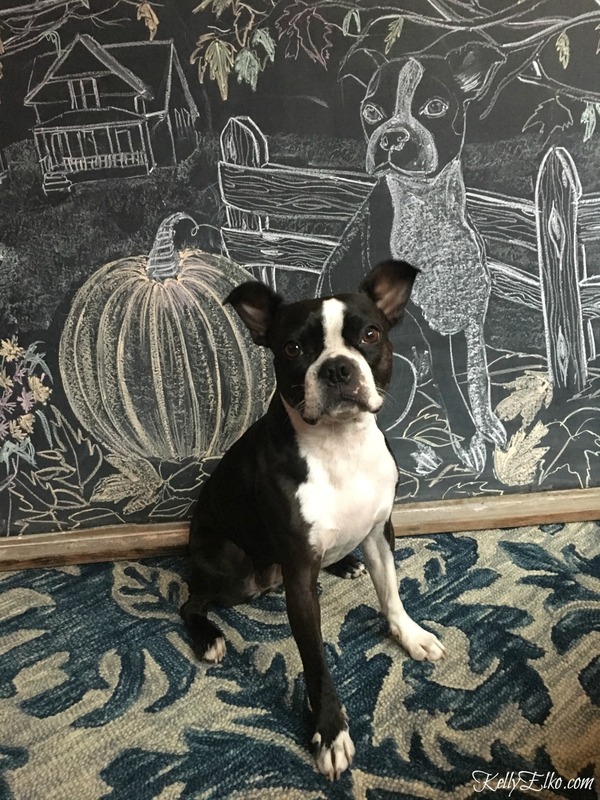 Thanks so much Sandy – that chalkboard is pretty amazing! But now Sushi is even more insistent that she get an agent! I’d take a picture of the dog chalk drawing and have it made into an enlargement, or poster size and then frame if to display in the future. It’s way to cute to just erase. Lovely home! Yes Diane – I plan on doing that! Love the chalkboard pic!! 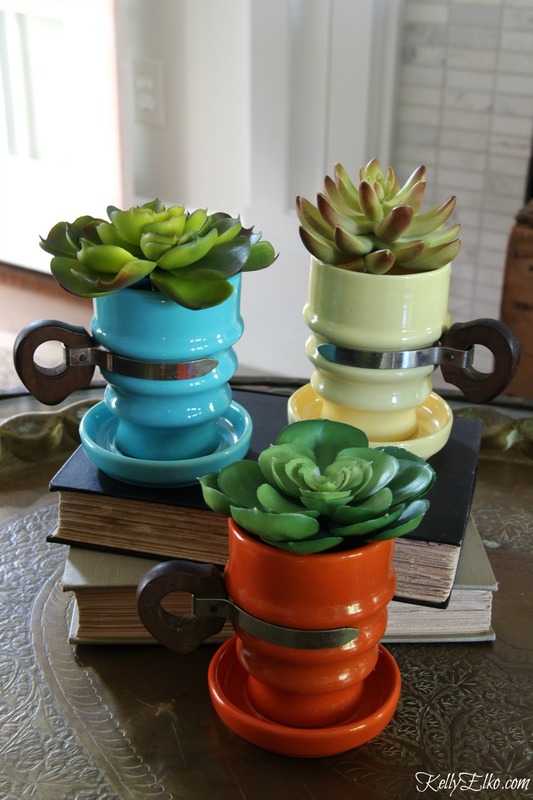 Those vintage mugs with succulents were fab as well. Thanks for sharing. 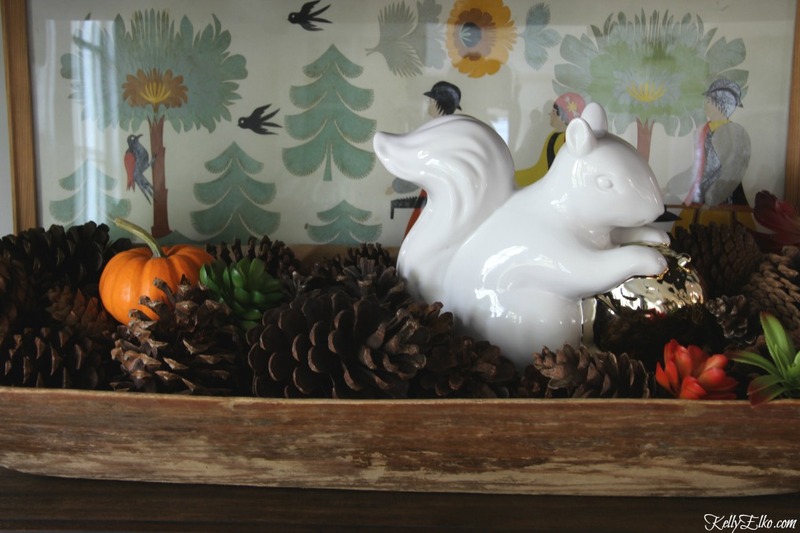 Thanks Hope – the mugs are a set of 6 and were a great estate sale find!